Welcome to the Sonstraal website. 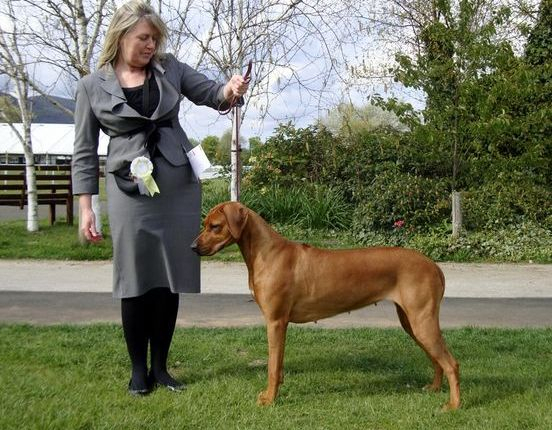 We are a small kennel, established in 1985 comprising of Rhodesian Ridgebacks, Whippets, Pointers and French Bulldogs, founded by Sharon Rossiter and Anthea Fox. This website has been designed to allow us to store photographs and memories of all of our dogs, past and present and to allow owners of dogs we have bred to look back at their dogs' relatives. Pictured below: Ch Sonstraal She's a Devil Woman JW ShCM with Sharon.